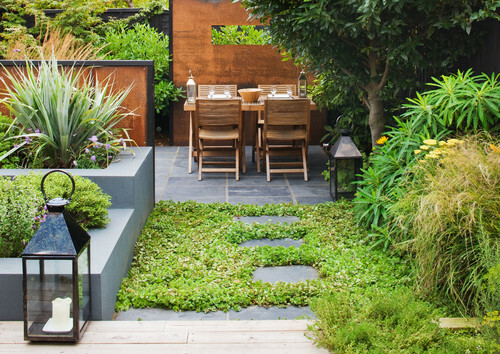 Feeling inspired after last weeks post on Patios I decided to do another one on tasty garden designs and found myself 10 that I thought worth mentioning to you. They vary, like always, in budget and size so there is something for everyone and all have ideas that can be used on any project. The dream one day for me is to build a house and some of these just make me want that more. 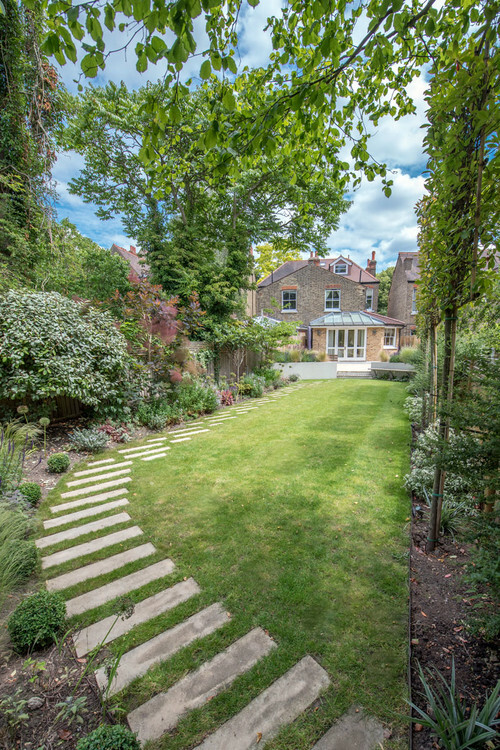 This garden is a more traditional one than the following examples but it’s inviting winding path and bushy planting makes it a welcoming and cosy place to be. 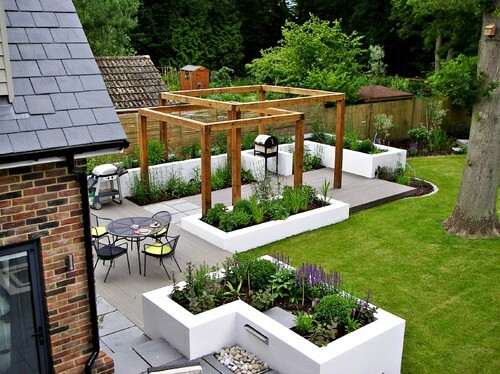 This would suit an owner who didn’t mind getting their hands dirty once in a while and tending to the plants. 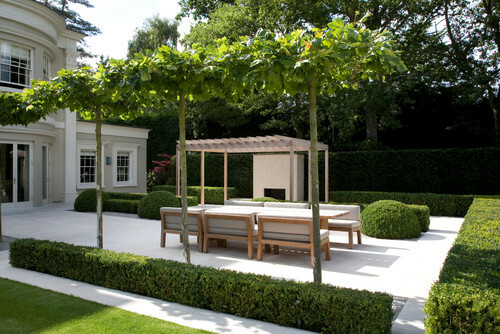 I love the straight lines that come with modern contemporary houses and this garden shelter has all the elements a good contemporary garden should have. 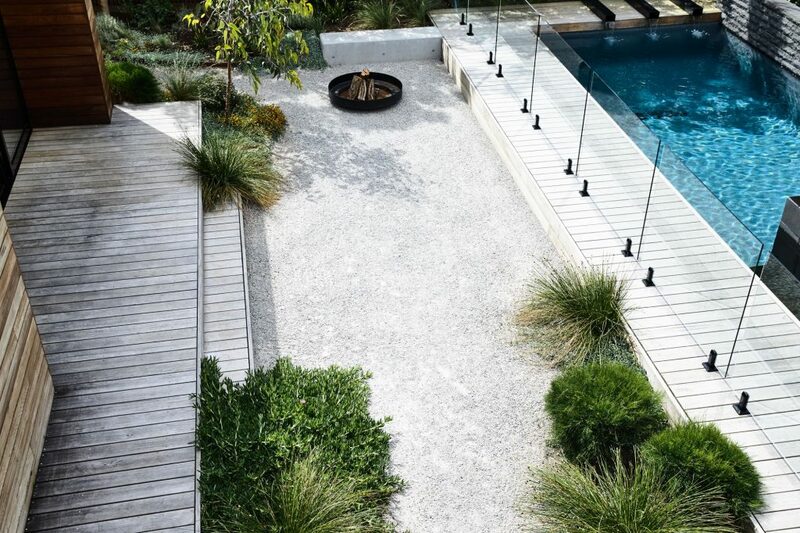 Boxed, raised planters, long slender paving and a focal sculpture on the stylish wooden slat fence. 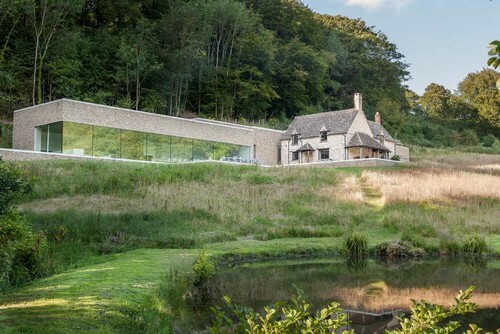 So This isn’t so much a garden as natural grounds but the way the meddow has been left to grow is in such contrast to the contemporary house that it hosts makes a striking design. When you look closer at the project then you can see that a simple grass lawn and linear paving is all that has been done but it works. 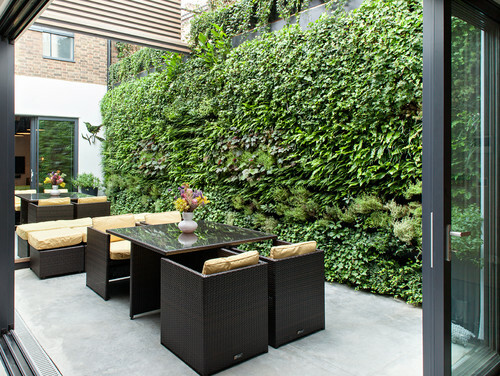 .A few years ago no one had heard of vertical gardens but now there are companies popping up all over that specialise in it. 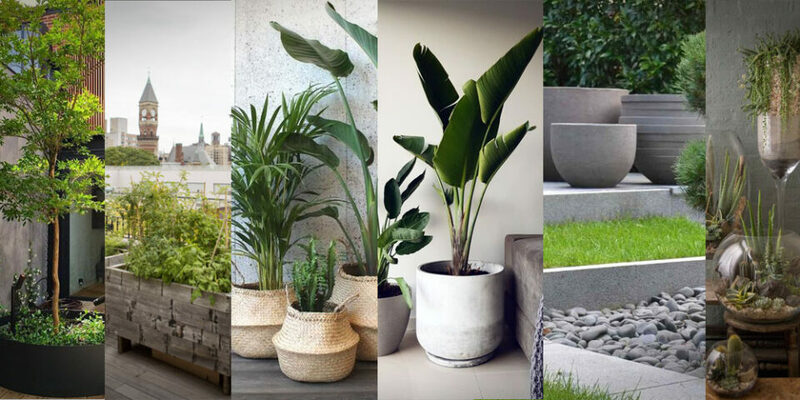 They are a great idea for many reasons but even more so in an urban environment where floor space is precious but a green feel is still desired. In Mexico they are using vertical gardens to actually combat the city’s dangerous pollution level as well as population depression, clever stuff! Here is a great example of modern London. 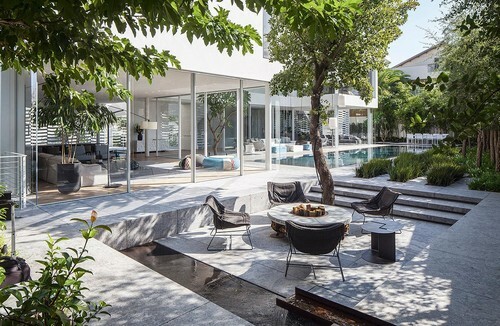 The house itself is probably quite old and the very expensive so the owners, liking their contemporary design, have opted to build out the back an open plan room leading to a simple yet stunning garden space. 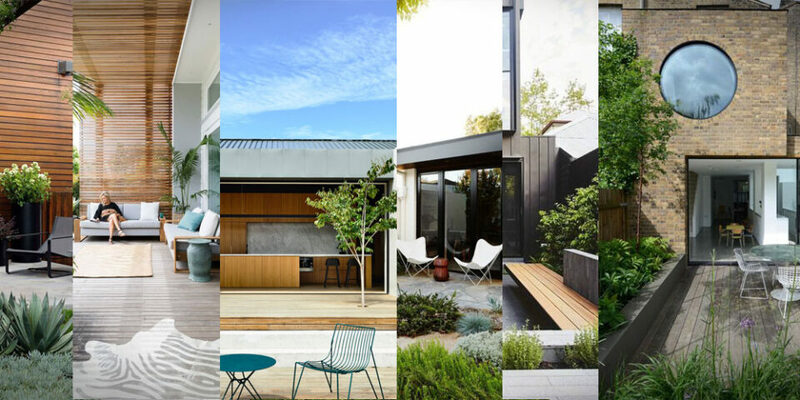 Whilst some people have acres of space and want a large lawn, others just want a walk way to a social space. That provides a lot of scope for something interesting with the remaining garden, even small ones. 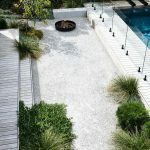 This design has used a quirky path to add some drama to the lead up to the social zone and the overall design really take you away from it’s urban setting. Simple design again and very spacious in stark contrast to the previous. 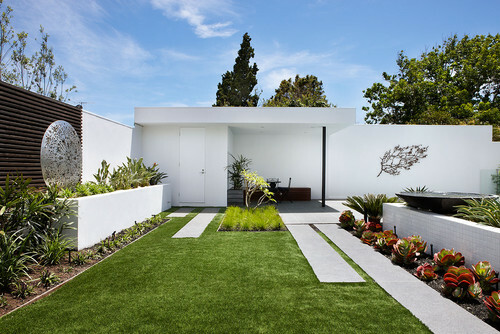 White paving a green buxus hedges is a stylish combo and very graphic, the garden design version of a black and white photo. This is a front garden but it is still very cool. Purples are very in at the moment along with the complimentary yellow. They provide a fresh and colourful look and with a 2 colour design it remains classy. This garden is brand new and will grow into it self more so the pergola will look fantastic. It already looks pretty good with the new plants filling the spaces but with some life and maturity it will look stunning. This is a CAD (computer aided design) render but I had to look closely as it is really good. The dream project has open plan living and a sunken patio the create a separate level which breaks up the space and gives it variation.